In 2015, Chicago experienced a major epidemic of canine influenza (a.k.a. dog flu) that affected a huge percentage of dogs all across the city. Since then, the city’s dog owners, veterinarians, and other pet care professionals have been working diligently to prevent another outbreak of the virus. We sat down with Dr. Natalie Marks of Blum Animal Hospital to discuss the dog flu and what we can do to keep dogs safe during flu season. What should you know about Chicago’s strain of dog flu? There are two strains of dog flu: H3N8 and H3N2. The strain that was responsible for the 2015 outbreak in Chicago was H3N2, the symptoms of which can range from having a mild cough (kind of like having a cold) to developing pneumonia, which may require hospitalization for your dog. Dogs with H3N2 can have a cough for up to 60 days. It is highly contagious and has a nearly 100% success rate of infecting a dog who is exposed to it. 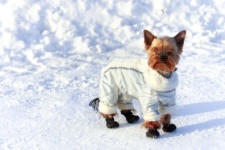 The H3N2 virus can live in the environment for 24 hours and can live on organic surfaces and clothing for 48 hours, so exposure can happen even after a sick dog is no longer present. While H3N2 is a very resilient strain of the flu virus, Dr. Marks explained that in Chicago, we have a very well-matched vaccine for it. In 2015, a vaccine was developed for H3N2 that came from samples taken at Blum Animal Hospital. Because of this, veterinarians in Chicago can vaccinate the city’s dogs against the exact virus to which they are exposed. Since canine influenza is a relatively unchanging virus, this vaccine is very effective at lessening the chance of your dog getting the flu. However, no vaccine is fool-proof, so there is still a chance your dog could get the flu after being vaccinated, but the vaccine would then lessen the severity of your dog’s case of the flu. 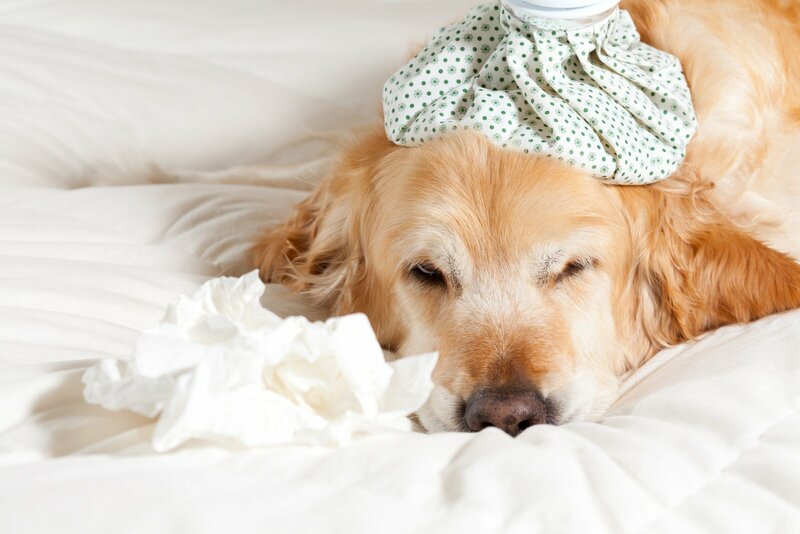 What are the symptoms of dog flu? If you think your dog has the dog flu, you should consult your veterinarian as soon as possible. 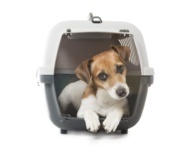 Treatments will vary depending on the severity of your dog’s case. What can you do to help protect your dog against dog flu? • If you and your pup enjoy going to dog parks, try to go during off times. 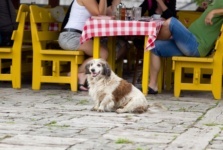 • If you will be boarding your dog while on vacation, make sure the boarding facility requires all dogs to be vaccinated against canine influenza. 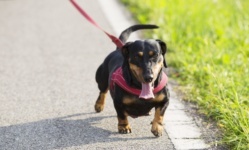 • If you live in a high rise with a communal dog elevator or dog run area, make sure to stay in good communication with your dog-owning neighbors. What does Windy City Paws do to help protect dogs against dog flu? At Windy City Paws, we take dog safety very seriously and make sure all of our dog walkers adhere to our PawsFirst Philosophy. We treat every dog like they’re our own, and we empower our walkers with the knowledge to keep their furry clients safe and healthy. All Windy City Paws walkers know the signs and symptoms of dog flu for which to be watchful, and they know to inform management immediately if any of their pups are presenting the signs so we can take all precautions necessary to not spread the virus. • All dogs are walked one-on-one. There is no pack walking at WCP. • We do not ever take dogs to communal areas such as dog parks or other off-leash areas. • We avoid other dogs on walks to make sure your pup stays safe and sound. The top priority of Windy City Paws is always to make sure your dog is happy and safe! 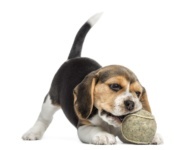 To learn more about canine influenza, visit this website: http://www.doginfluenza.com/. Together, the pet care professionals and dog owners of Chicago can make sure that our pups stay healthy this flu season! We would like to thank Dr. Natalie Marks for taking the time to have a brief interview with our Field Supervisor. Dr. Marks has been a veterinarian at Blum Animal Hospital since 2006 and a co-owner since 2012, and she is a prominent public animal care advocate. 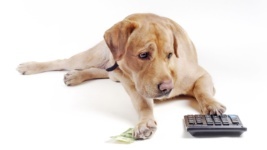 How Much Does It Cost to Own a Dog in Chicago? Do I Need a Permit for Chicago Dog Parks?